Anticipating new trends is always an exciting thing to do at the beginning of a new year. 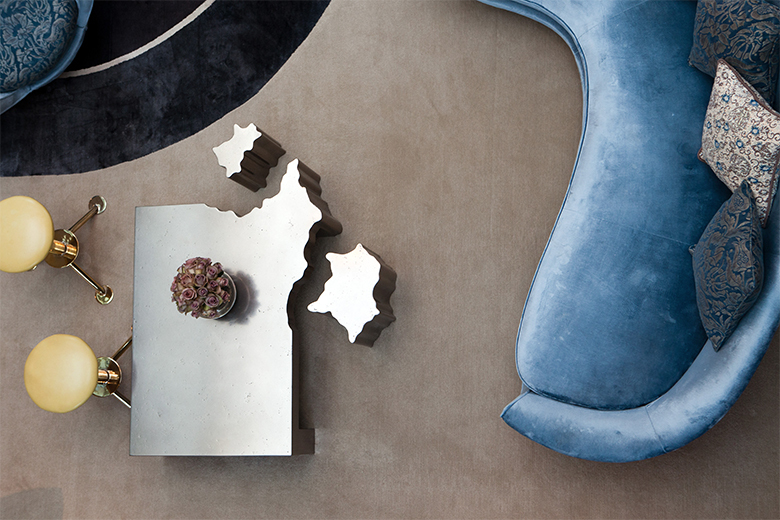 2014 saw the use of shagreen, minerals, barely-there metal silhouettes and geometric motifs in a notable move into edgy luxury and this year looks set to be just as exciting with amazing materials, colours and techniques being introduced. Discover the interior design world’s hottest new looks. Moving away from the playfulness of chevron and houndstooth, 2015 is a year for recapturing opulence at home. Brocades, jacquards and damasks are all making a comeback and the addition of gold or silver thread will offer an even more decadent mood. Cushions in these rich materials are a great way to ease into the trend. We can’t get enough of the rich teal and gold of the Miura Verditer decorative weave fabric (above) from Romo. Pantone’s Colour of the Year is described as “a naturally robust and earthy wine red” and is one shade which most people should be able to buy into. 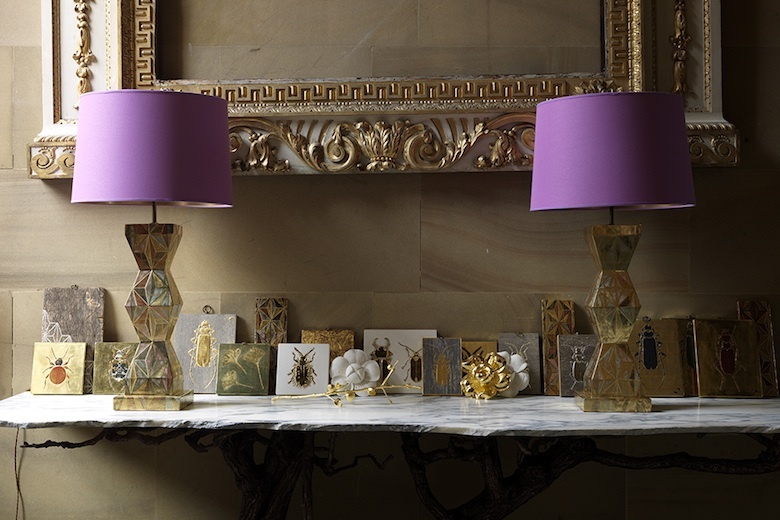 It’s bold whilst still being sophisticated and its natural warmth makes it utterly inviting. 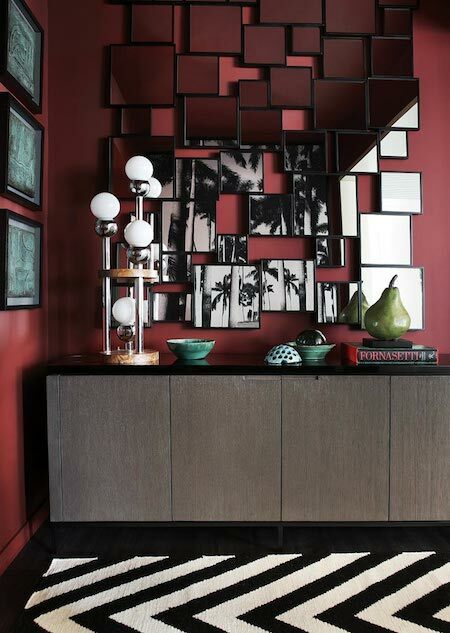 “Marsala is a subtly seductive shade, one that draws us into its embracing warmth,” says Leatrice Eiseman, Executive Director of the Pantone Colour Institute. 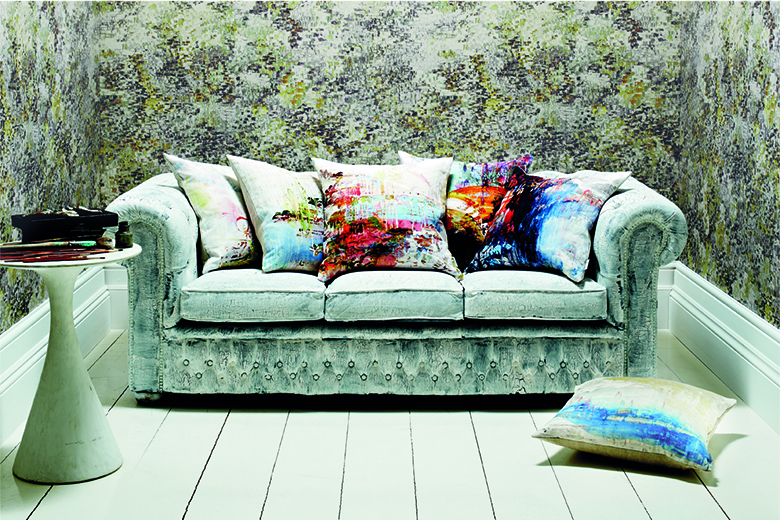 Imagine satin cushions, plush carpeting or cabinetry lining realised in the hue. Or do as John Jacob Interiors did and paint a whole room with its heady aesthetic. We love it already. Fluid and inviting (with a subtle nod to mid-century), this unconventional sofa silhouette is a go-to shape for the world’s greatest interior design talents from Jean-Louis Deniot to Kelly Wearstler. The original design – the Serpentine Sofa by Vladimir Kagan – was created in 1950 but the style looks just as fitting in this refreshing design from Spinocchia Freund. Use in an arrangement with similar lines to keep the look consistent and harmonious. 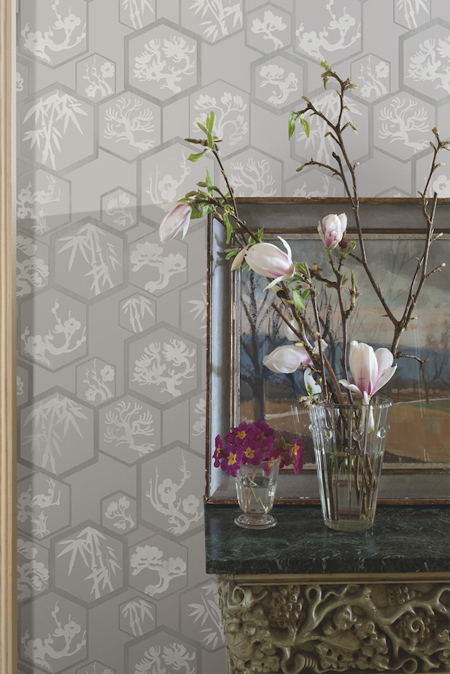 While Oriental designs have been a staple of the collections of our favourite fine wallpaper designers like and de Gournay for a while now, the move from Chinese to Japanese motifs has been notable. Farrow and Ball’s new collection draws on the craftsmanship of the Land of the Rising Sun with hints of waves, bamboo traditional pen and ink drawings. And if that wasn’t enough, the Alexander McQueen’s Spring Summer 2015 show confirmed the look with both printed and appliqué nods to Japanese art and fauna. Try the look out first with some Japanese inspired accessories. It’s one of those pieces which has become so unexpected in modern homes but, to be perfectly honest, who doesn’t love the idea of a four poster bed? 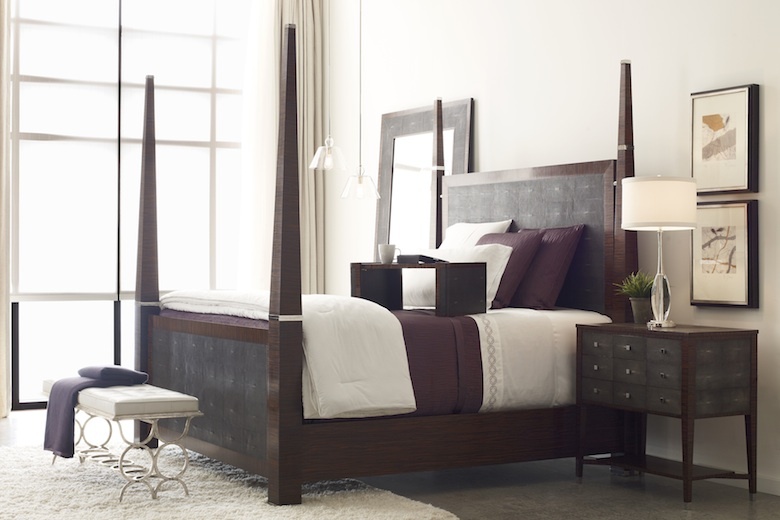 As the main piece of a bedroom, a bed can afford to make a statement so it’s with excitement that we look forward to the revival of the silhouette in everything from modern to decorative styles. This shagreen clad design by Jonathan Charles is ever-so-handsome. 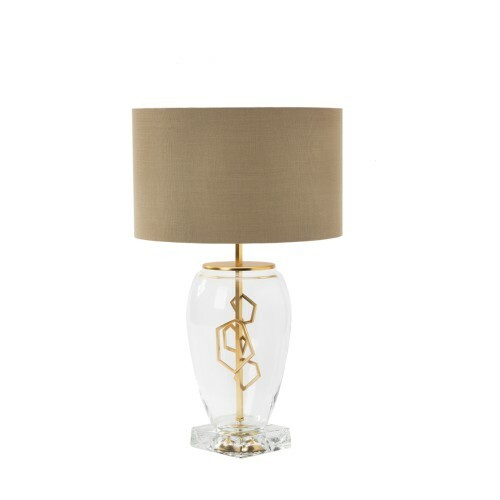 Tennant & Tennant’s Midas touched Kimono lamps are just one stunning example of this year’s direction into statement tabletop lighting. Designed by model Stella Tennant and sister Izzy (a professional gilder for over 30 years), the designs are destined to be cherished antiques in years to come. Channel an interior design aesthetic with Marioni‘s sculptural pieces or make a modern statement with Silia‘s graphic designs. 2014 was a year for gold and it’s obvious that the glamorous finish isn’t going anywhere anytime soon. But this year the rules disappear as designers continue to encourage mixing metals. 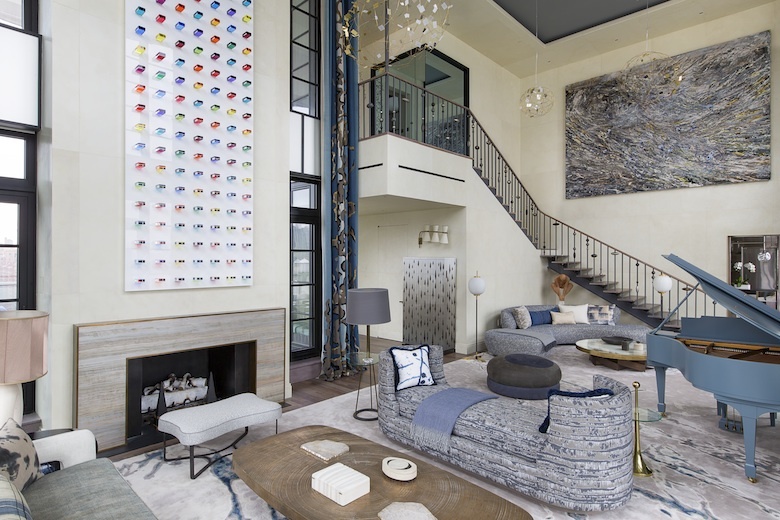 The result is refined look a which isn’t too polished like in this stunning double-height New York living room by Jean-Louis Deniot. 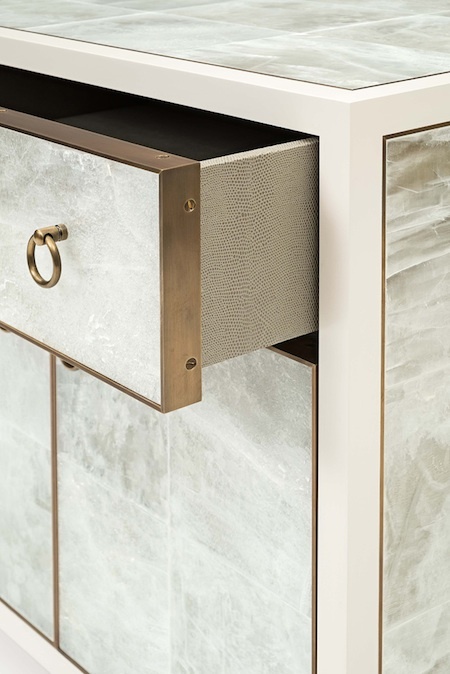 Textured finishes are an easy upkeep solution or, for a modern look, team super-sleek finishes with minimalist shapes à la Skultuna. Breathtakingly unique, this unrefined mineral is a super-luxe finish which is ready to make its way into more residential designs. Spinocchia Freund used the material for a unique chandelier in a recent chalet project whilst furniture designers Atelier Viollet (left) and Yann Jallu are using it as the star material of their lush designs. If there’s another colour which is taking 2015 by storm (after marsala) it’s guaranteed to be Greek blue. The vibrant colour, seen on the roofs of the Mediterranean country, is evocative, playful and surprisingly sophisticated. 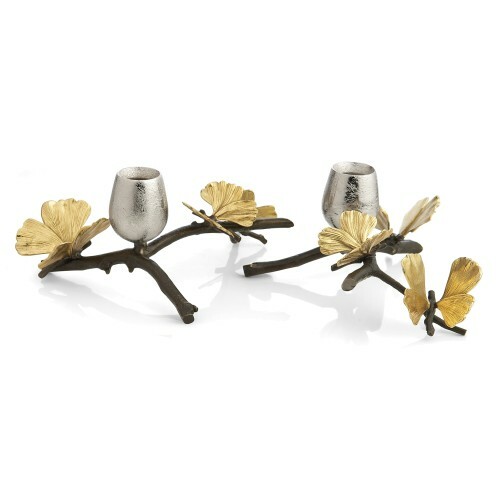 AERIN‘s new collection is an ode to the hot new tone and is inspired by holiday days. This season’s brass silhouettes are trimmed with semi-precious lapis lazuli stone to stunning effect. Despite the enduring inspiration of Modern designers, the interior design world is enjoying resurgence of illustrated and painterly motifs which are taking the place of recent graphic trends such as chevron and lattice. With Jessica Zoob‘s Big Smile for Black Edition winning the Elle Design Award for Best British Pattern last year, it’s clear that the ties which bind the intricately interwoven art and design worlds aren’t being undone anytime soon and the look to try is soft.